Just when you think the Bachelorette is over, you're wrong. For one, we're now able to watch Bachelor in Paradise two nights a week. And two, my husband just wrote a two-part Bacholertte season recap. I've been wanting Andrew to write a post for the blog for a while now. He always said he would, but has never found a topic to write on. That is until I forced Andrew to watch the past three season of the Bachelor/ette with me. Yes, it is trash reality TV, but it's really funny trash reality TV. After a mind-numbing amount of episodes, Andrew finally decided to write a recap of the show to be his post debut on the blog! Below is part one, and part two can be read here. I love Alicia’s blog. 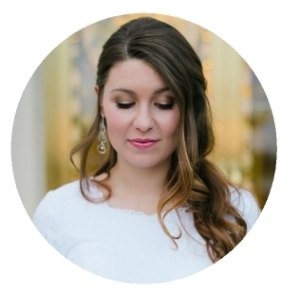 I love how hard she works to network with other bloggers, post great pictures. and tell our story. I think she does a great job at showing her personality in what she posts. Once she asked me if I wanted to write a guest post, but fearing that my stuff would detract from the theme of her blog I never did. 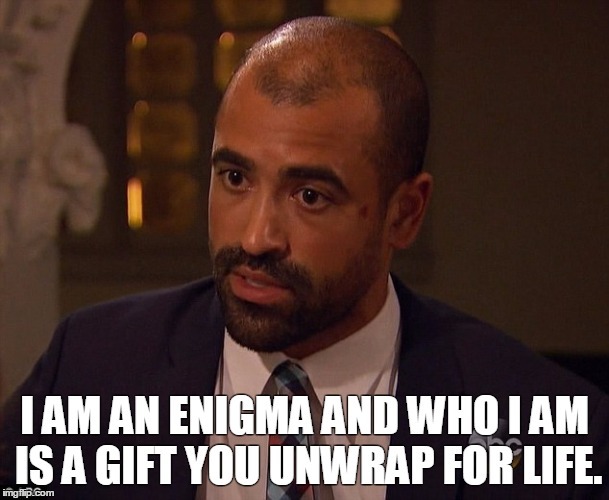 After three seasons of television’s “most honest” love drama having graced our marriage, I finally discovered what I would want to contribute to Alicia’s blog: Bachelor/Bachelorette recaps. My friend from college, Meg Walter, writes a great recap after each episode and she inspired me to give it a shot. Initially, I thought that admitting that I watched these shows would necessitate a tribunal before the “man card” council. Then I realized that having something that Alicia and I can share every week isn’t an opportunity that I can let pass. This season proved from the beginning that it doesn’t seem to value women very highly. The show starts with 25 guys and two bachelorettes. The power is given to the men to choose the one they think is hottest, so that the undesirable can be (once more) kicked to the curb. Breaking up is hard to do, but getting the George Costanza pre-emptive break-up on national TV can’t feel good (especially after being semi-excited about being the bachelorette for several months). However, I guess the show producers thought it would be a good idea to give Kaitlyn and Britt the opportunity they didn’t get on the last season: a final episode scenario, because what’s better than being rejected by one guy on ABC? Being rejected twice by a bunch of guys on ABC. Go home Chris Harrison, you’re drunk. We get introduced to the gentlemen, and they are a who’s who of popular guys from high school that didn’t end up going anywhere in life. Ian, at the beginning, is the one exception to that (but he is appropriately modest about it). Living well is the best revenge, folks. From the start, Alicia’s favorite was Josh. Her criteria: “he has bulldogs. So, I want him to win.” I can’t start rooting for people from the beginning, mostly because I feel sorry for all of them at the start (at least, until we get to know most of them). I was impressed by Josh’s rose that he welded, though. Not being someone who is very handy, I can’t help but be jealous of stuff like that. Anyway, fast forward to Shawn’s appearance. Shawn looks like Ryan Gosling, but with Barbara Streisand’s nose (Alicia and I called him Ryan Schnozling during the season - credit to Grantland for giving us the name). Kaitlyn and Schnozling sit down on this "Mexican country style chair" and they seem to have a genuine conversation. They both start thinking to each other “is this how dating happens? Is this how I meet people?” Don’t worry kids, you’ll figure it out (wink, wink). 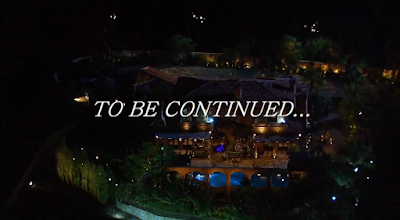 we finally get the theme of this season’s show, and the theme was "To Be Continued".